The Archives and Records Management Section provides secure storage for inactive records. 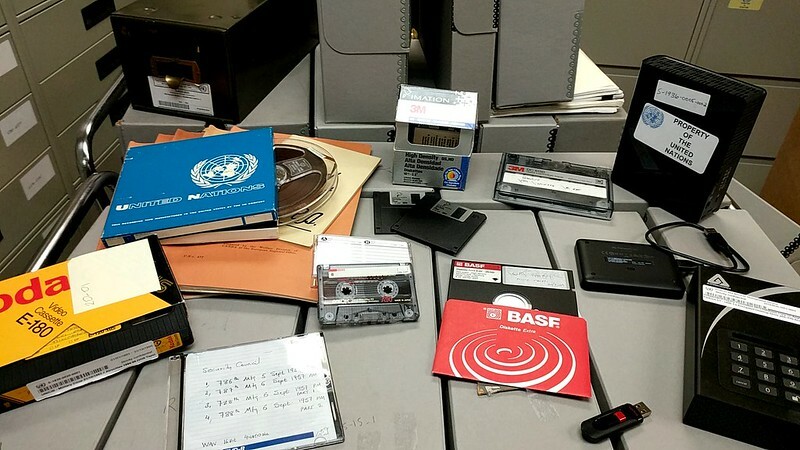 These records are no longer in use in UN offices on a day-to-day basis but which still need to be retained. UN offices can retrieve the records which they have transferred to ARMS. Where can I store my office's records? The records centre is a secure, climate-controlled and modern facility, meeting storage requirements of records, their retrieval and disposition. Do you need to transfer your records? Please see our Records Transfer page. How do I retrieve my office's records? We provide records retrieval service for inactive records that have been transferred to the record centre. If you request a small number of files, they will be delivered to you within two days. We use the internal mail service or, for digitized records, by e-mail. If you need to access larger volumes of records, it will take longer and may require on-site consultation at ARMS Queens facility. The retrieved files have to be returned to the record centre within 30 days. Send your completed request for records (Form RMS.51 Word / Form RMS.51 PDF) to arms@un.org.